Dr Mark Avery is a blogger, writer, author and wildlife campaigner. He once, many moons ago, worked for the RSPB (and for 13 years was its Conservation Director). He has been prominent in the discussions over the future of driven grouse shooting in the UK - Mark hopes that their future is very limited. He lives in rural Northamptonshire and misses most of the good birds at his local patch of Stanwick Lakes in the Nene Valley. Keith Betton is a media trainer, PR consultant and writer. He is a keen world birder having seen over 7500 species in nearly 100 countries. He has a particular passion for Africa, having been Chairman of the African Bird Club for the last 7 years. In the UK he is heavily involved in bird monitoring in Hampshire, where he is County Recorder. 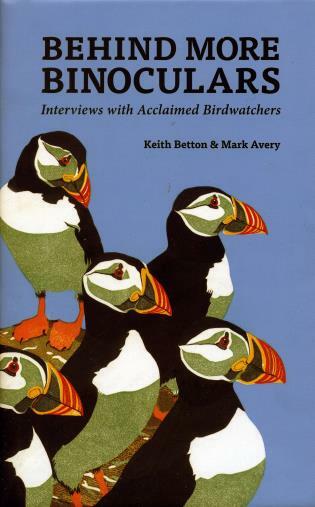 He has been a Council Member of both the RSPB and BTO, and is currently Vice President of the latter.